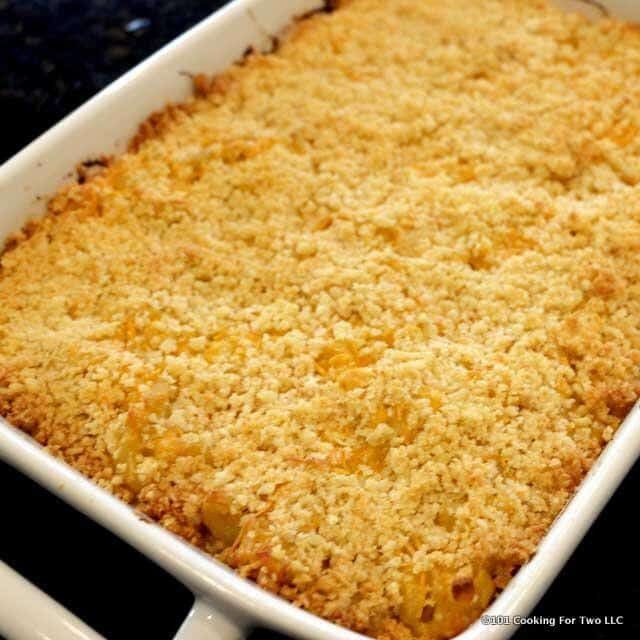 Classic baked mac and cheese with a crunchy Parmesan topping. Great comfort food for everyday or that take a dish event. 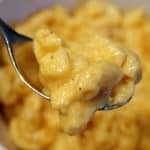 I have lots of mac and cheese recipes. I have a great easy crock pot version. I have stove top versions. And I have one pot versions. But I wanted something different today. 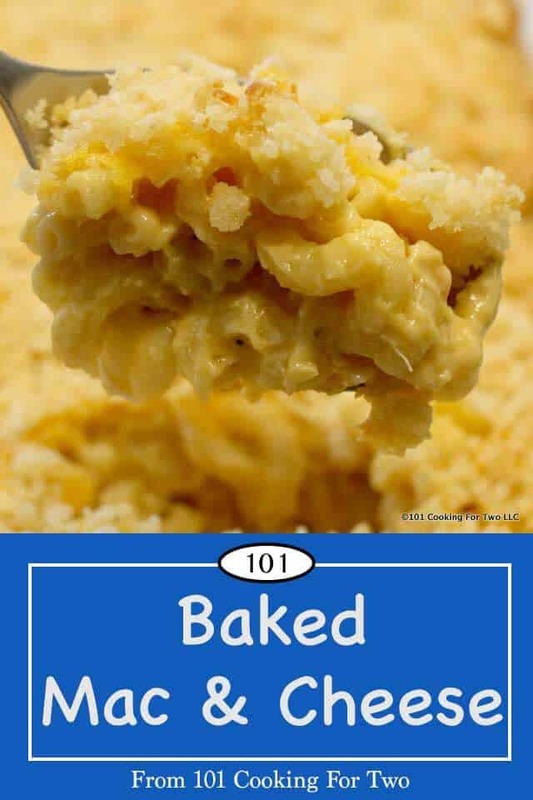 A very nice mac and cheese. Eggs will make mac and cheese set up more and give more of a custardy texture. Without the egg, you get creamier looser texture. So it is a matter of taste. 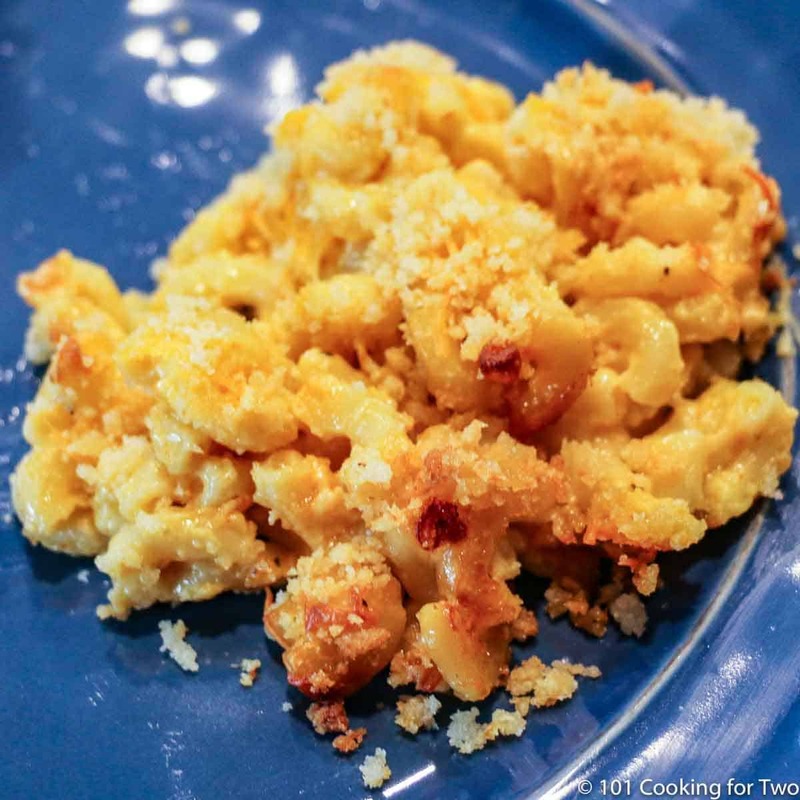 My crock pot mac and cheese recipes are modeled on other recipes that did have eggs. I remove them to change the texture in those recipes. While on the egg, I used a technique called tempering in the egg. You slowly add hot liquid from a recipe to the egg before adding the egg to a hot liquid to avoid cooking the egg when adding to the recipe. If you are a visual learner try Food Networks How to Temper Eggs video. Type of cheeses is a matter of choice. I used sharp cheddar here, but there are many good choices. For some reason, Velveta is a favorite of mine and does give a nice creamy effect to mac and cheese. Preheat oven to 350 degrees if cooking now. Prepare a 9 by 12 baking dish with a light coat of butter. Cook and drain 1 pound of pasta. Cook for minimum time since it will cook more in the oven. While cooking pasta, in a small bowl, lightly beat one egg. Then melt 4 tablespoons butter over medium heat in a large pan. Add 4 tablespoons flour to the melted butter and whisk continuously until browning some, about 3 minutes. Add 1 cup of milk and whisk until smooth then add in the remainder 1 1/2 cups of milk. 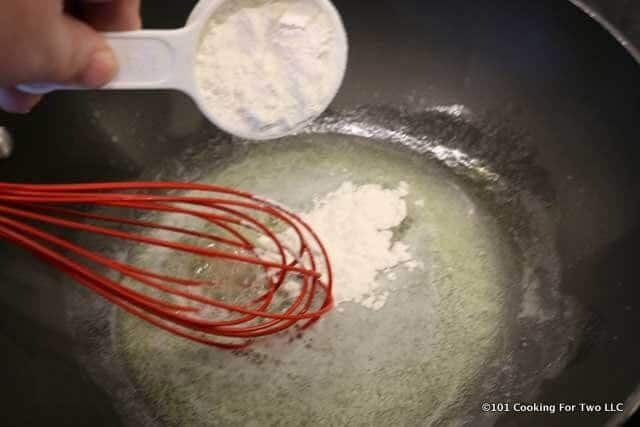 Whisk continously until thickened. 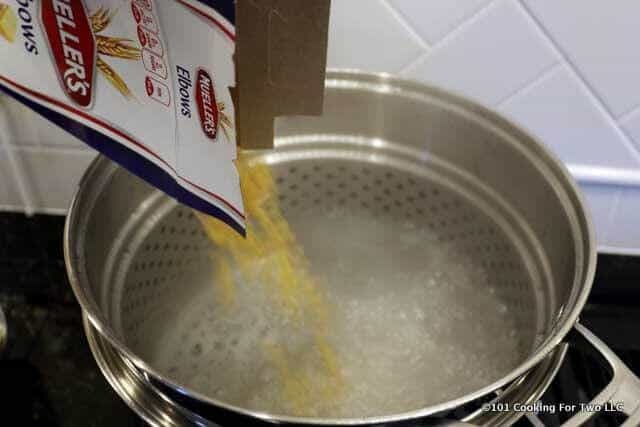 Remove 1/4 cup of the hot milk mixture and slowly mix into the egg. 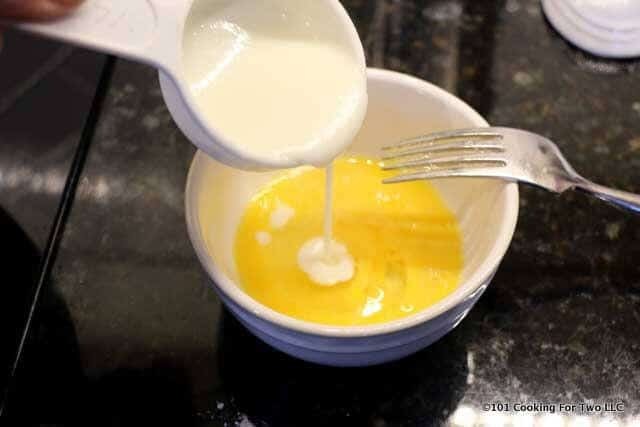 Add the egg to the thickened milk mixture while continuing to whisk. Add in 2 teaspoons dry mustard, 1 teaspoon salt, 1/2 teaspoon pepper and 1/2 teaspoon paprika. Add 3 1/2 cups of cheese of choice and mix until smooth. Mix in cooked pasta and add to baking dish. Mix topping. 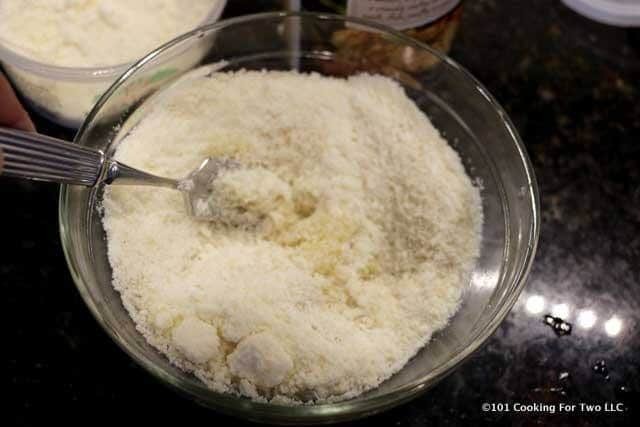 In a medium bowl, mix 1 cup Panko bread crumbs with 1/2 cup grated Parmesan cheese. Add 4 tablespoons melted butter and mix well. 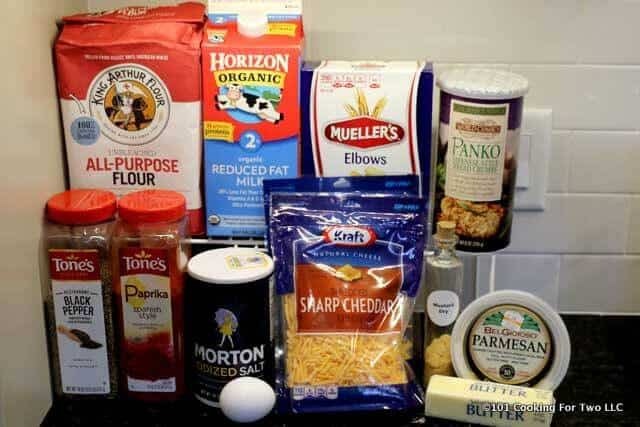 Add 1/2 cup of cheese of choice then add the bread crumb Parmesan topping. You can now cover and refrigerate for later or cook now. Cook until nicely brown and edges bubbling. About 30 minutes. 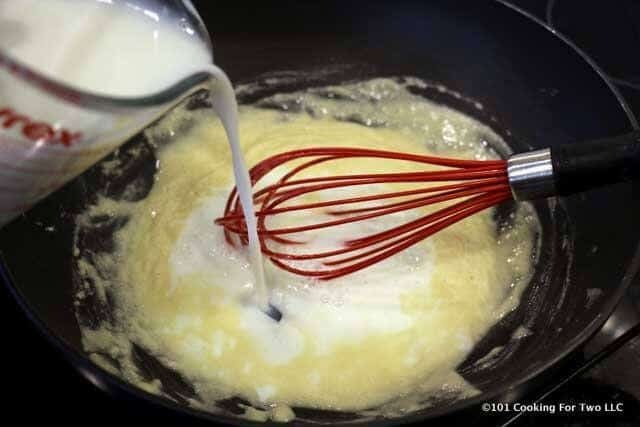 Add the egg to the thickened milk mixture while continuing to whisk. Add in 2 teaspoons dry mustard, 1 teaspoon salt, 1/2 teaspoon pepper and 1/2 teaspoon paprika. 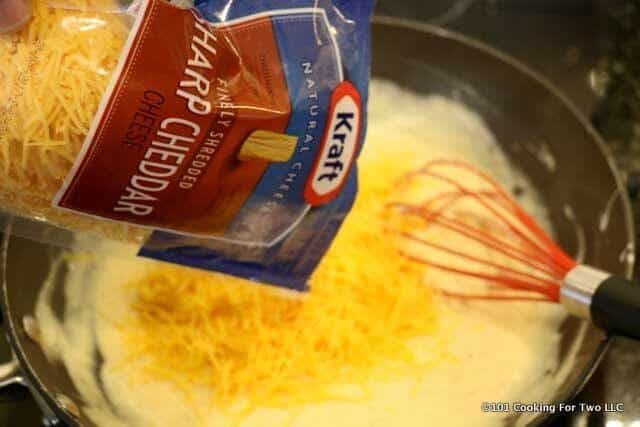 Add 3 1/2 cups of cheese of choice and mix until smooth. Mix in cooked pasta and add to baking dish. Mix topping. 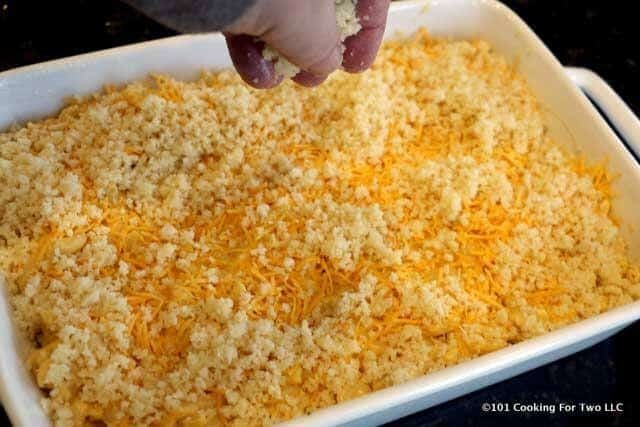 In a medium bowl, mix 1 cup Panko bread crumbs with 1/2 cup grated Parmesan cheese. Add 4 tablespoons melted butter and mix well. I’d love this. Had to start taking a statin so I shouldn’t, but I love it. Oh P.S. I never buy Panko when saltines are less expensive and MUCH better tasting. I never have saltines but maybe I should. Thanks for adding the “cook for later note. 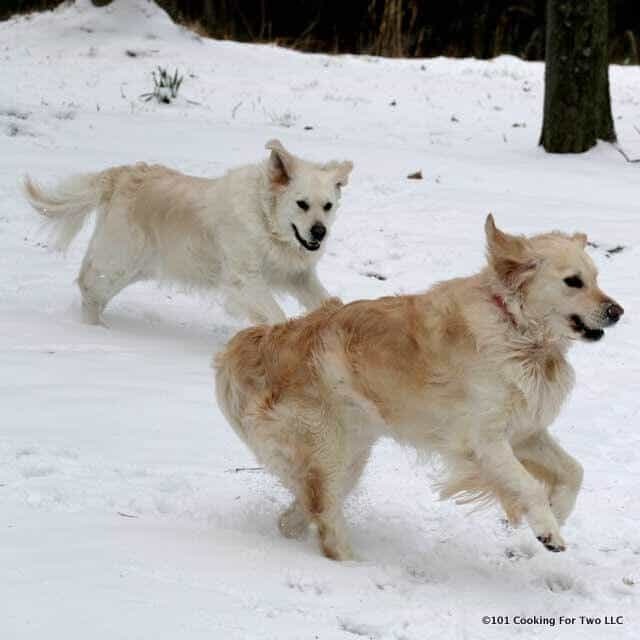 I wonder about “freeze for later”.? Have you any thoughts on that? I frequently cook and bake for seniors fundraisers. It has to survive a bus ride home in a shopping bag.